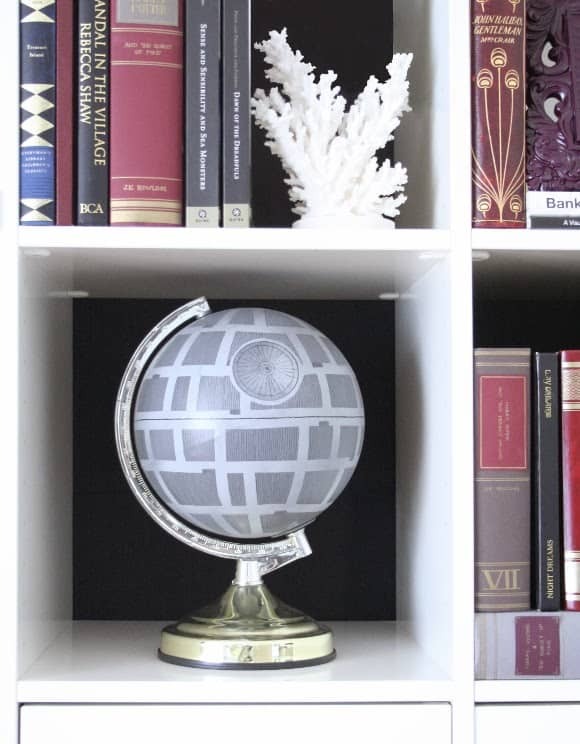 These projects combine two of my favorite things – handmade and Star Wars. 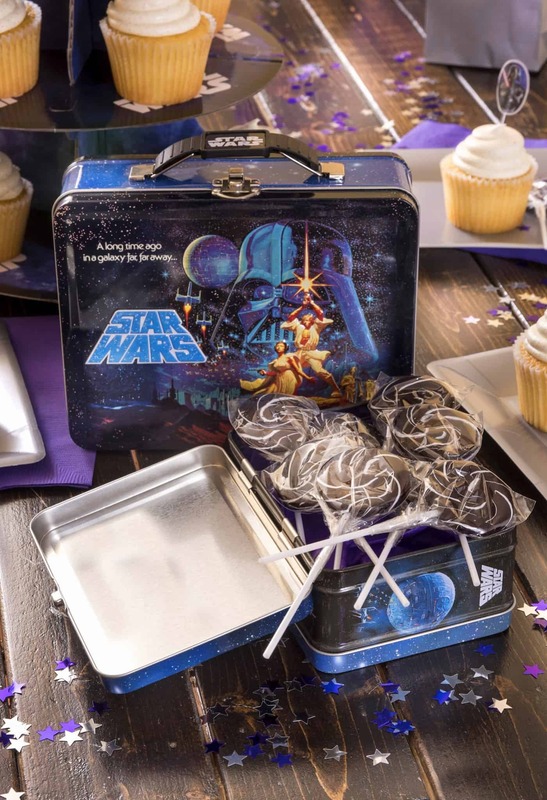 Check out these 16 Star Wars crafts that are out of this world. I can’t explain what a big role Star Wars has had in my life. It’s been my favorite movie since I was young. Here’s a few examples: in 8th grade, I got 12″ tall statues of all the characters for Christmas. I own the Trivial Pursuit game and used to play tournaments. I also have a Star Wars pillowcase on my bed right now. I could go on and on! What I’m trying to say is that when you combine Star Wars and crafting, you’ve basically put two of my favorite things in the world together. 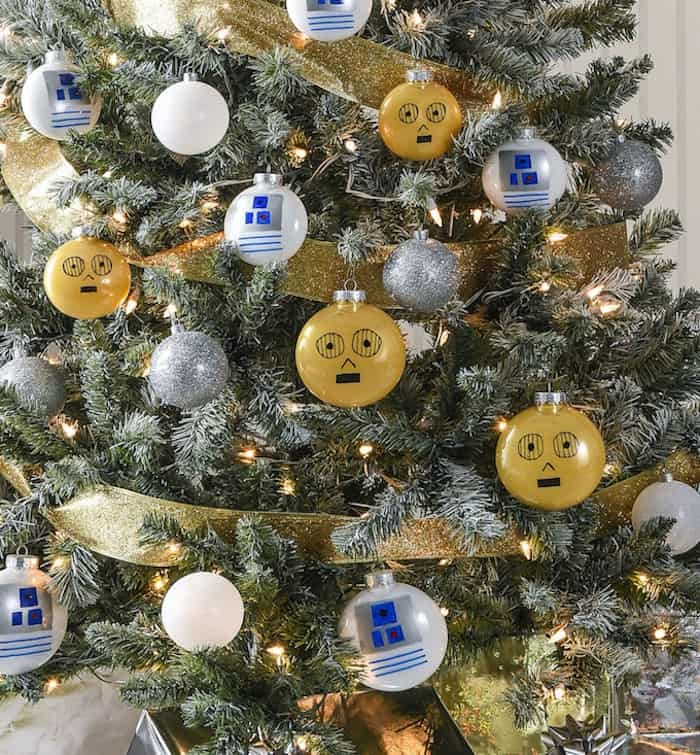 I’ve also made a few Star Wars crafts – like my Star Wars tree, luminaries, and pumpkins. So how could I help but pull together a collection of DIY Star Wars crafts? These are so awesome, I’ll just have to let you scroll down to see what I’m talking about. I’d love to know which one of these DIY Star Wars projects is your favorite! This amazing paper sculpture was folded from one piece of paper. You don’t need advanced painted skills to make these canvases – you just need a projector and Star Wars images. You can make this cool project with a regular black lamp and acrylic paints. One of Vader’s most famous quotes, captured on canvas with thread. Download the pattern at Dork Stitch! Instead of painting craft store wood peg dolls like people, paint them like Star Wars characters! If your child loves Legos and Star Wars, this is a great craft because it combines the two. Use contact paper to cut out a Vader head and place it on a piece of furniture – and then remove it later when you’re done with it. An old pair of Toms gets a makeover with several colors of fabric paint and markers. Make me one of these Jabba pillows for Christmas, or into the sarlac pit you’ll go! This Darth Vader bean bag is really easy to make with black felt and white thread. Can you believe this storm trooper helmet is made from a milk jug? I love it!. I’d love to sport this R2D2 crocheted cozy on weekly Starbucks runs. A regular helmet gets a robot makeover with the help of spray paint. Lindsey made these small R2 boxes from the most unexpected supply: toilet paper rolls. These awesome little felt finger puppets will provide hours of intergalactic play. You can make this cute little purse out of felt – and Staci even provides a free pattern. 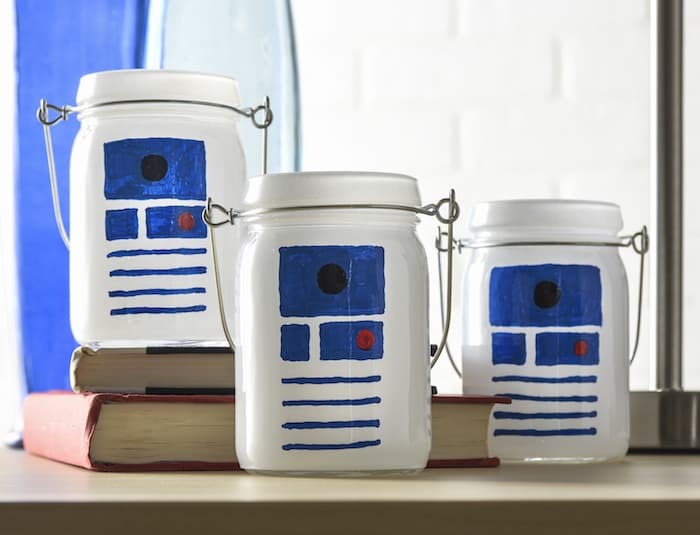 For additional Star Wars DIY projects, visit our other collection of 15 Star Wars crafts with even more ideas!